Watch the exclusive Mr. Media interview with ‘The Playback Singer’ director Suju Vijayan and star Navi Rawat by clicking on the video player above! 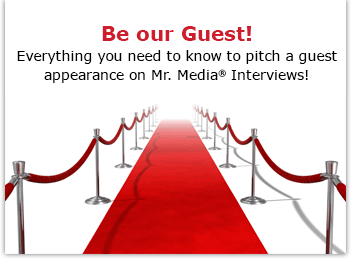 Mr. Media is recorded live before a studio audience of stars of NBC’s short-lived Mumbai-based sitcom, “Outsourced”… in the NEW new media capital of the world… St. Petersburg, Florida! Order ‘The Playback Singer,’ available from Amazon.com by clicking on the DVD cover above! First came reading a wonderful novel, A Suitable Boy, by Vikram Seth, which was eye opening to me as visiting Vulcan for the first time was for Starfleet’s original “Enterprise” crew. The point is, I’m more than a little fascinated by India, yet still underexposed to it. Watching the new indie film, The Playback Singer, was one more glimpse into a culture that never ceases to compel my interest. Of course, this story takes place in Los Angeles, but no matter. It is the tale of a culture clash that occurs when the lives of a good-for-nothing playground architect and his immigration attorney wife are upended by her fussy, endlessly hypocritical Indian, B-movie playback singer father who comes to visit and overstays his welcome. And P.S. — she hasn’t seen her father since he walked out on her mother and siblings 20 years earlier. My guests today are actress Navi Rawat, who plays the daughter, and who my wife instantly recognized as “Charlie’s girlfriend from Numb3rs,” and who I knew from “Burn Notice.” Also with us is the director of The Playback Singer, Suju Vijayan. The film also stars Ross Partridge as the American husband and Piyush Mishra as the playback singer.